SSC CGL 2017 New Updated Exam Dates Out. Starts from 5th August 2017. 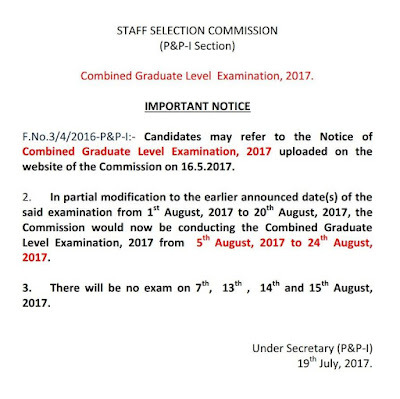 Staff Selection Commission (SSC) Published Official Exam Dates for Combined Graduate Level (CGL) Exam 2017. 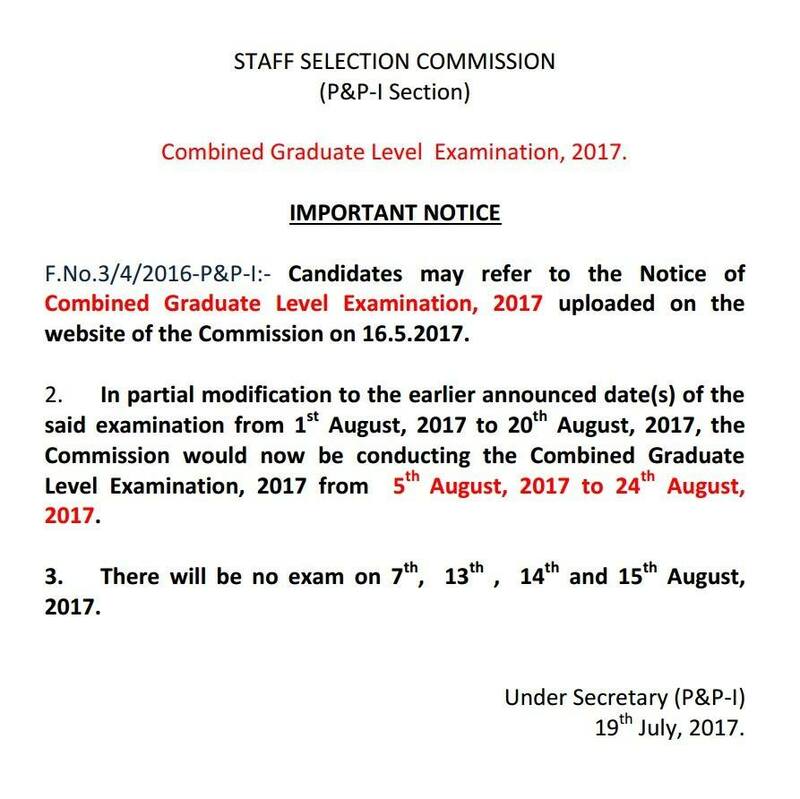 There is Some Changes in New Dates Earlier it was Published On Official Notification that Exam Will Held On 1st August Now its Scheduled to be Held On 5th August 2017. 2. In partial modification to the earlier announced date(s) of the said examination from 1st August, 2017 to 20th August, 2017, the Commission would now be conducting the Combined Graduate Level Examination, 2017 from 5th August, 2017 to 24th August, 2017. 3. There will be no exam on 7th, 13th , 14th and 15th August, 2017.